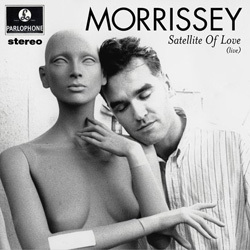 "Satellite Of Love" was recorded live on 25 November 2011 at the Chelsea Ballroom at the Cosmopolitan in Las Vegas. Other live tracks are from London's Hyde Park, 4 July 2008. Morrissey in London by Renaud Monfourny. 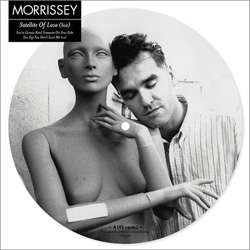 UK: This single was promoted with the help of a 1-track cd mailed out with a folded insert inside a clear plastic sleeve. The latter sleeve has a press sticker on it.